Hi everyone! On one of my many trips to London in the last few weeks I came across this sign in H&M and it got me thinking about how great a message it is to live by. I better point out that I am not so naive not to realise that H&M first priority is to sell products but that aside its a great message. I really how how there are "rules" when it comes to fashion: don't wear this with that, don't wear this if you have this body shape and so on. I often find myself shying away from clothes i have fallen in love with because I feel I wouldn't suit them, I feel like I should leave certain clothes to those who resemble supermodels. Yep I know I am silly. I have seen people wearing things that I would never have dreamt of wearing and owning it. The reason why they owned it was because they were confident in themselves and what they were wearing and didn't care what people thought or what "rules" they were breaking. 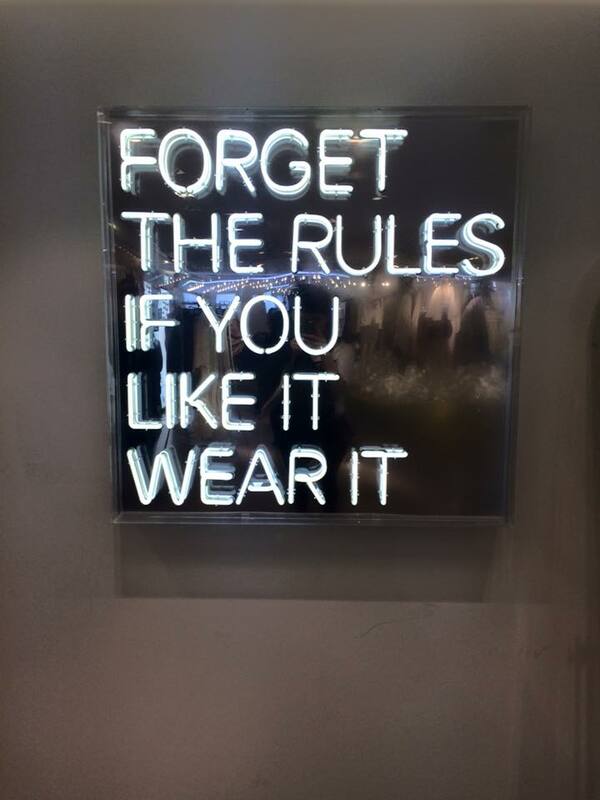 So I am definitely going to try and live by this message more and if I like it I will wear it and I will rock it. I hope you enjoyed this post. 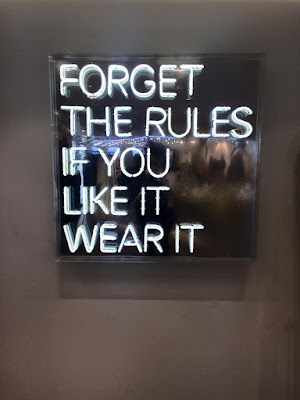 What do you think about fashion "rules"? Should they be broken? You would look gorgeous in anything Kim! Yeah I'm hoping that as I get older I'll stop caring less about what people think or what people will say about me / what I'm wearing. Thank you for stopping by my wonderful friend I hope you are well and enjoying your week so far!